Our journey as an English language school over the past years has grown in leaps and bounds. 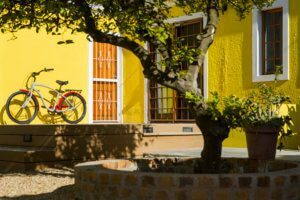 Most recently, the success of the UCT English language Centre has resulted in our student residence being fully booked out for months to come – with many students who are currently with us putting their name down on a waiting list in case someone decides to spontaneously return home for an extended holiday or for work. 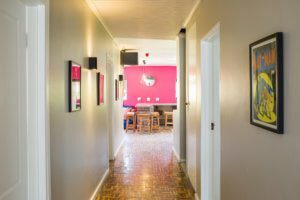 Why is living in a student residence important? 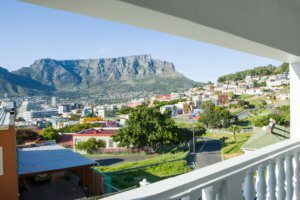 We have come to understand that the ability to stay in the student residence greatly improves our students’ overall experience of their time in Cape Town and at ELC because they form strong relationships with one another and are able to ensure they are part of a vibrant and active social life, which all starts in a communal kitchen. This has prompted us to explore our options and open a new student residence for our students. 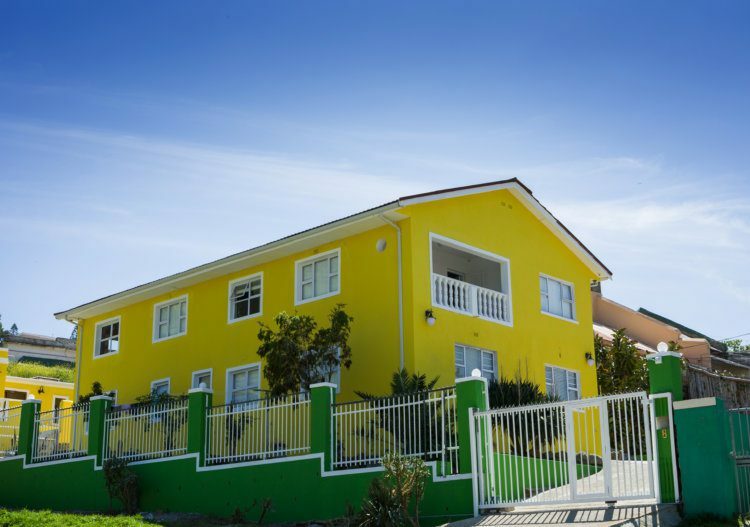 We are pleased to present ‘The Yellow House’ which is now open and accepting new students. What can we tell you about this residence? Only ELC students will live in the house. 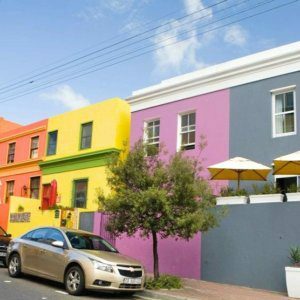 It is located in the historic and colourful Bo Kaap. The student residence is located in a house, amongst other houses. It is in a neighbourhood, rather than the city centre, but still only minutes from the city centre. It has, very recently, been newly renovated to our specifications. 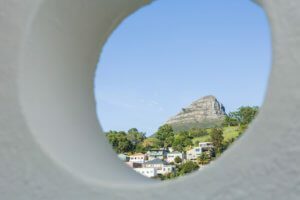 It has the most amazing view of Table Mountain and Lion’s Head. 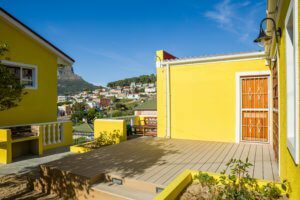 It has a balcony with probably the best view in Cape Town. There is an outdoor and braai area for socialising. 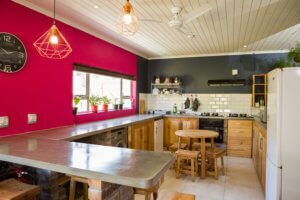 It has a fully fitted kitchen. It is located about 15-20 minutes’ walk or a short bus ride from the school. And it has bicycles that you can use to ride to school. For more photos, see our Accommodation page. Spending time with your classmates, cooking meals, doing homework together, is such an important part of your English learning process. This is the perfect opportunity to mingle and network with students from all over the world. To obtain a quote or book online, click on the big yellow button on the right hand side of your screen.